I am disappointed the Walker administration has given in to the fear-tactics and misinformation of the Department of Homeland Security and the Transportation Security Administration by putting forth legislation to make Alaska implement the federal REAL ID Act and pay for it ourselves. It is my duty to set the record straight and make sure people have the facts they need to defend their rights. The Department of Administration has been reporting that if we do not agree to comply with REAL ID, we will not be allowed to use our state IDs to get through TSA checkpoints or to get on military bases. In reality, there is no existing or proposed federal law or regulation requiring ID to travel at all. A recent reply to a four-year-old Freedom of Information Act request of DHS has shown 77,000 people per year fly without ID, and only 2 percent who try are turned away. Not only that — it is the Pentagon and individual base commanders who decide what ID is required to get on bases. DHS does not have authority over the Pentagon, which is why DHS instead uses fear-tactics and misinformation to force REAL ID on states. For background: REAL ID was never debated by Congress, but rather, it was hidden in a 2005 emergency appropriations bill. It is barely six pages, but it opens the door for DHS, TSA and outside private organizations to control the identification we need to exercise our inalienable rights to work, travel, gun ownership and privacy. That will happen if we give the agencies that power by putting REAL ID in our state laws. 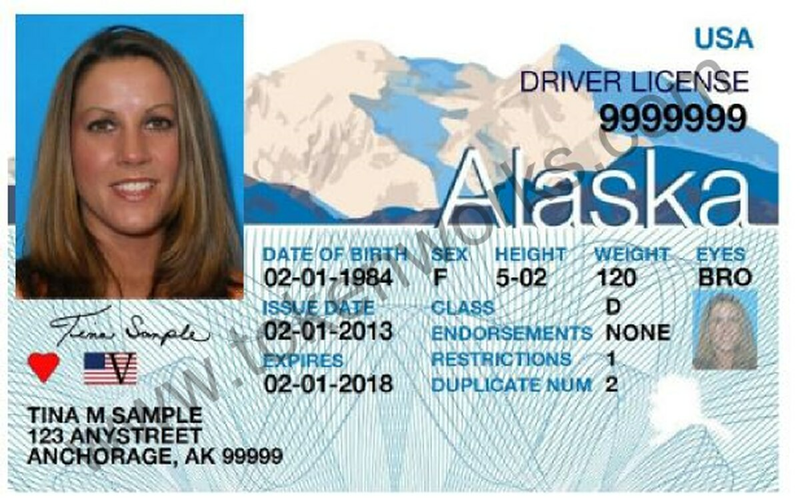 Alaskans are being told in the governor's bill, they will be allowed to choose between a REAL ID and a regular ID, but this is false. Under REAL ID, noncompliant IDs must marked "Not for official duties." Old forms of ID will be gone forever, and if you can't come up with the required paperwork to get a REAL ID, you will be stuck with a bogus ID. REAL ID requires each state to "provide electronic access to all other States to information contained in the motor vehicle database of the State." For years it was impossible for states to comply with this requirement until a private organization, the American Association of Automobile Administrators, and Clerus Solutions, a private company in Midlothian, Virginia, created a private national database called SPEXS to satisfy this mandate. Clerus Solutions is made up of former AAMVA executives. The founder and chair of the Clerus board actually helped Congress write the act. He and the president/CEO, senior vice president, and senior business analyst were all top executives at AAMVA before forming Clerus Solutions and the SPEXS database. In January, without permission from the Legislature, the Administration Department uploaded almost every Alaskan's personal ID data, including much of our Social Security information, to the SPEXS Database. The Social Security Administration expressly warns against using Social Security information in this manner, and REAL ID does not specifically require such information be shared, but the administration has defended the practice because it is an AAMVA requirement. AAMVA and its subcontractors are not subject to FOIA or any other state or federal public information laws. There is no way to correct mistakes or obtain information about the data they have compiled on you. In addition, they can change the data requirements, and states must give in to them or lose REAL ID compliance. Neither DHS nor TSA will appear before any of our committees, or truthfully answer any of our questions about REAL ID. It is almost pointless to try, because they can expand or change the requirements of the act at any time by publishing them to the Federal Register, which they have done numerous times. Rest assured, I would not be standing up to DHS and TSA like this if we did not have a much better alternative available. For $55 anyone who can get a REAL ID, can get a passport card. About 65 percent of Alaskans already have a passport or passport card. A passport card is actually better than a REAL ID because it will get you access to everywhere a REAL ID will and more. A passport card can be obtained at a U.S. Post Office and only requires two pieces of documentation, whereas REAL ID requires four and a personal visit to DMV, which has few community branch offices. Finally, a passport card is protected by federal public records and privacy laws. If you or someone you love has ever been wronged by TSA, you know it is a bad idea to hand over control of our identity cards to DHS and private organizations. Please join me in calling upon Gov. Bill Walker to withdraw his legislation, and instead sue the federal government to defend our state and federal constitutional rights to privacy, to travel freely and manage our own affairs. Rep. Chris Tuck, D-Anchorage, is a member of the House majority coalition. He has served in the House since 2009.